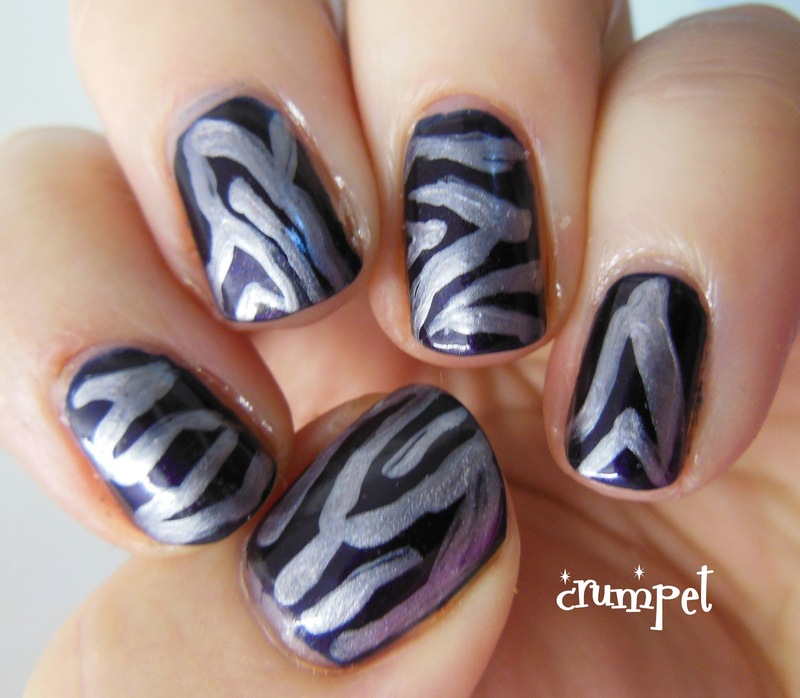 The Crumpet: 30 Days of Purple - Day 6 - Stripes! 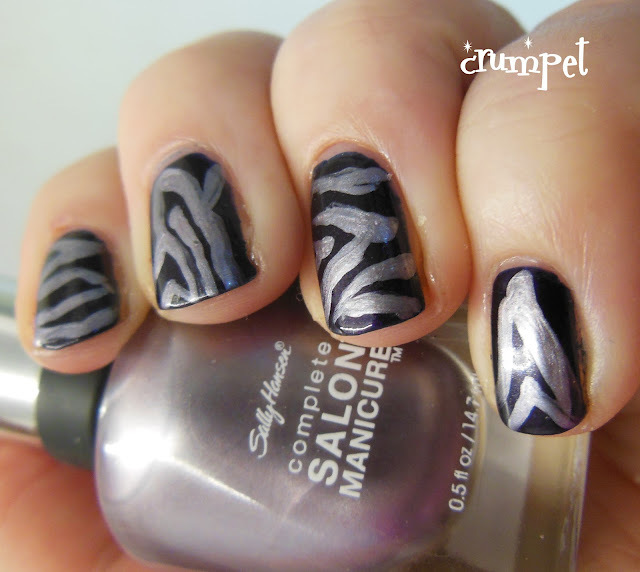 This is a freehand design I did using Sally Hansen Pedal to the Metal (a divine metallic grey lilac) over Barry M Blackberry. The design I ended up with is not what I intended. I planned for all the fingers to look like the thumb and middle, but then decided to rotate it to horizontal on the index and ring - without realising this would then look a bit zebra-ish! Oh well. 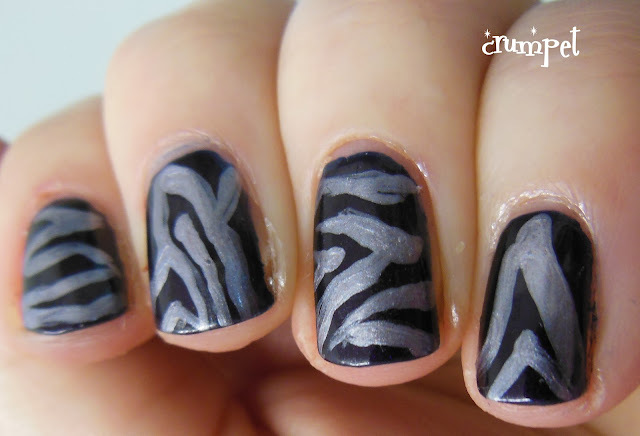 Overall I quite like it, I just wish it looked a little less animal.